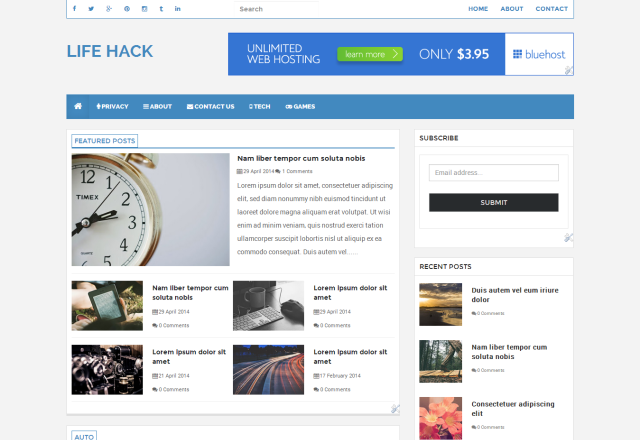 Lifehack is a customized blogger template and built using twitter bootstrap 3. Its a fully responsive magazine blogger template best suited for magazines and news sites. It can also used for business blogs by removing magazine widgets used in home page.